Majority of us optimize marketing campaigns for e-commerce websites. Therefore it is very important that whatever we do to optimize these campaigns must directly result in increase in product sales. Let’s say you have got 100,000 products to sell. Now where you should start? What should you change on the website? Which key issues you should focus on that can quickly improve your website sales? If you sell products worldwide then start your product analysis at the country level. Find top 10 countries in terms of sales in the last three months. Direct your marketing efforts and resources towards them. 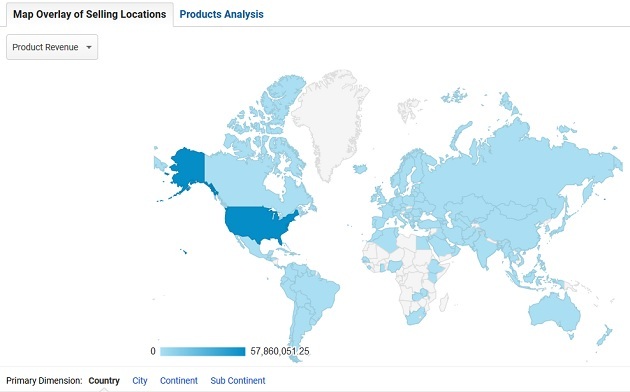 Even if my target market is worldwide, I most likely won’t be running marketing campaigns in each and every country. I am most likely to focus on, top 5-10 countries (top in terms of sales). When you are advertising at international level, cost per acquisition tends to be very high. So you need to make great efforts to keep cost under control. No company has got unlimited budget, no matter how big it is. If you sell products only in one country but at the national level then start your product analysis at the state/region level. Find top 10 states/regions in terms of sales in the last three months. I target entire state/region only when I cannot find clear top 10 winners. If you sell products only in a particular state/region then start your product analysis at the city level. Find top 10 cities in terms of sales in the last three months. If you sell products in a particular town/city then you start your product analysis at the town/city level. However these rules are not set in stone. I sometimes achieve great success by targeting at the city level even when my target market is international. It all depends upon your industry, business model and target audience. The point to remember here is, find those geo locations which are generating maximum sales for your company and direct your marketing efforts and resources towards them. You cannot sell your products at each and every location in your target market. So do not spread your marketing efforts and resources too thin by trying to be visible everywhere, for everything you sell. For example, I have noticed many marketers advertise all over US just because they think that there target market is national. But if they dive deep into their analytics reports they would most likely find that they are not getting sales from each and every location in the US. They are most likely getting majority of sales from 10-20 locations. These locations could be cities or states. Rest are generating little to no sales with high cost per acqusition. Often businesses spend 80% of their marketing budget to get that 20% sales from the remaining 80% locations which lead to high cost per Acquisition. Even public traded companies, advertising at national level should not afford to ignore top selling locations. If your target market is as big as US, China or India where cost per acquisition tends to be very high because of ginormous population and cut-throat advertising competition, you should definitely not ignore your top selling locations. For small businesses, finding top selling locations is critical because they have got very limited budget. 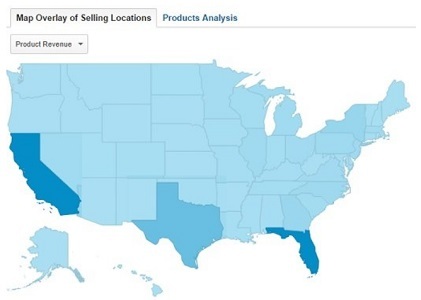 So you need to find your top selling locations before you move further with your products analysis. From the report above we can conclude that California and Florida are top selling locations at the national level. But I want to drill down further. From the report above we can conclude that the city of Los Angeles is the top selling location in the California region in the last 3 months. 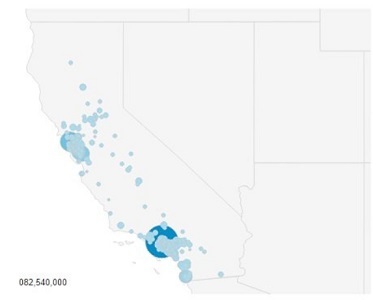 We also now know that, it is not profitable to target/advertise all over California let alone throughout the US. 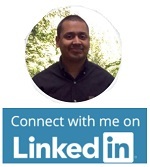 You won’t get such type of insight without segmenting top selling locations. 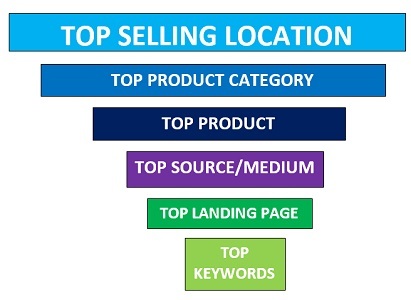 Once you know your top selling locations, you need to determine your top selling product categories. You may have got dozens or even hundreds of product categories on your website. But you won’t generate equal volume of sales from each and every product category. There will always be some product categories which almost always outperform others. Remember the 80/20 rule, 80% of your sales come from 20% of your product categories. So you need to find your top product categories (in terms of sales) and work relentlessly on them to increase their sales further. The rule of thumb is to sell what is selling and sell even more. There is no point working tirelessly on promoting a product category which generates little to no sales. I am most likely to focus on, top 5-10 product categories (top in terms of sales). However I focus on top product categories only when I cannot find clear top 10 products. These are the products which generated 80% of the website total sales in the last 3 months. Once you know your top selling product category, you need to find top selling products in that category. You may have got dozens or even hundreds of products in your top product category. But you won’t generate equal volume of sales from each and every product. There will always be some products which almost always sell the most. Here the 80/20 rule comes into play according to which, 80% of your sales come from 20% of your products. So you need to find your top products (in terms of sales) and work relentlessly on them to increase their sales further. There is no point working tirelessly on promoting a product which nobody has ever bought esp. when you as a marketer has no control over: product price, product quality, features, design and packaging. Once you know your top selling product, you need to find the traffic source which is responsible for its sales. Without the knowledge of the traffic source, you cannot do much in terms of improving the product sales. 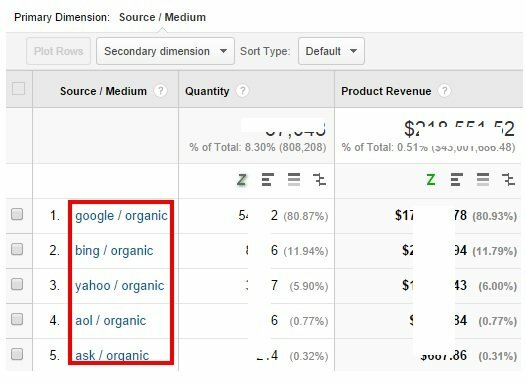 From the report above we can conclude that the top traffic source is Google and top traffic medium is organic search. So if I could improve the performance of organic search i.e. SEO, I could improve the sales of my best selling product further. 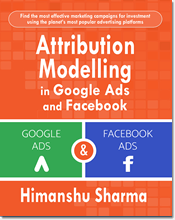 At this point I can also choose not to promote this product via PPC, Facebook or Twitter ads any more, if the sales and ROI have not been good in the last 3 months from these traffic sources. The point to remember here is, to invest more in the marketing channel which has proved to work and de-invest in the marketing channels which are not working. Once you know your top traffic source in terms of sales for your best-selling product(s), you need to determine the top landing pages, so that you can optimize them further to improve sales. 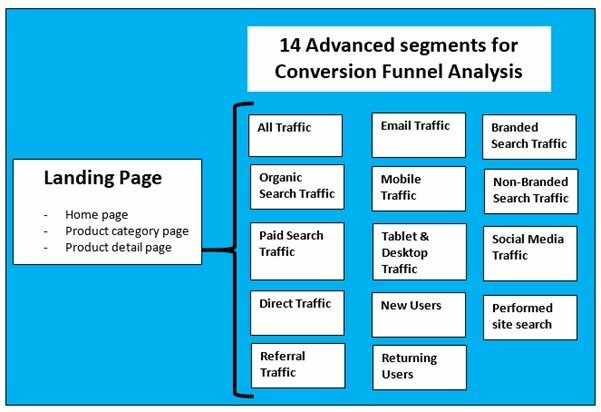 Once you know your top landing page(s) for your best-selling product, determine how your customers move through the conversion funnel once they land on your top landing page. Getting traffic to your website is one thing but getting it to convert is a totally different ball game. You may be getting millions of visitors to your website each month but if they are adding little to no value to the business bottomline then your cost per acquisition will remain high and your gross profit would remain low. In order to make your business a success, you need to focus on increasing revenue and decreasing cost per acquisition/conversion. Home page is the top landing page for many websites. So if the home page is your top landing page then you would like to know how people go through the conversion funnel once they land on this page. 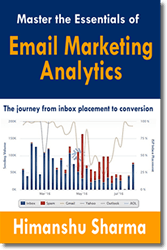 Marketers look for drop off in conversion funnel from one step to the next; determine the reason of the drop off and what could be done about it. 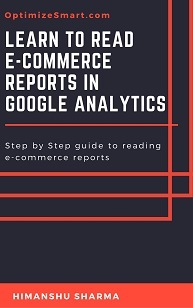 If you are optimizing your shopping cart experience then funnel visualization reports are of great help. As you can see from the report above, every person who proceeded to shopping cart page, checked out. Make sure once a person adds an item to the shopping cart, he/she complete the checkout on your website. You can do this by identifying and removing the bottlenecks in your checkout funnel and through remarketing. In the funnel above, we have achieved the checkout nirvana. You no longer need to worry about your checkout process here. But what you need to worry about here, is the huge drop in traffic from the home page to the shopping cart page. 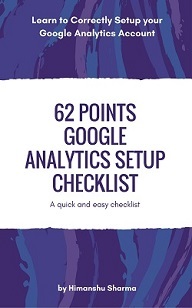 Just 0.47% of 8266 visitors proceeded to the shopping cart page. If you could make more visitors to reach to the shopping cart page, you could generate more sales. Now the problem is, you don’t know which visitors proceeded to the shopping cart page from the home page and which didn’t. Were they, the visitors from organic search? Were they, the visitors from paid search? Were they, the visitors from social media? How many visitors viewed a particular product category page before they added items to the shopping cart? 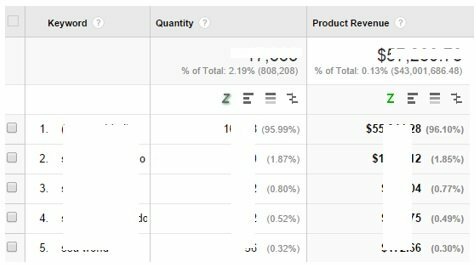 How many visitors viewed a particular product detail page before they added items to the shopping cart? Without segmenting the conversion funnel there is nothing much you can do about the drop off from one step to the next in a conversion funnel. 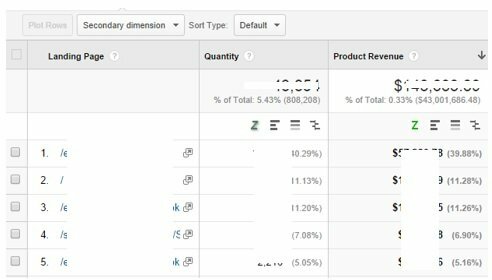 Unfortunately, Google Analytics does not allow applying advanced segments to Funnel Visualization reports. 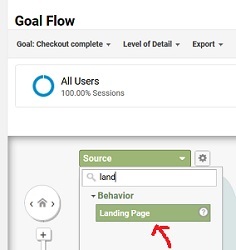 The other thing that you can do, is use the ‘Goal Flow‘ report (under ‘Conversions’> ‘Goals’ in your main Google Analytics view). 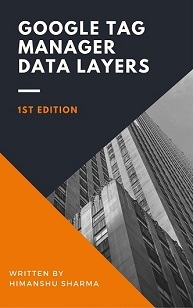 Through this report you can determine how your customers move through the conversion funnel once they land on your top landing page. 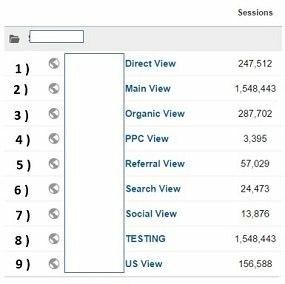 You can see from the goal flow report that visitors are dropping off at each step of the funnel. 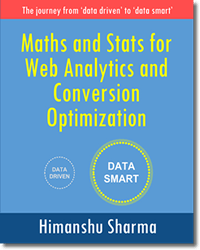 Once you know the reason of the drop off from one step to the next and which funnel page(s) need to be optimised, only then you start your testing (A/B testing, usability testing etc) and/or optimization of marketing campaigns. This type of drill down is useful if you run search marketing campaigns (paid and/or organic). By bidding/targeting top performing keywords, you can improve the sale of your best-selling product(s) even further. 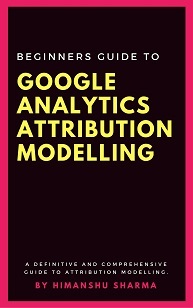 However your Google Analytics property must not be suffering from not provided keywords issues. In order to reveal not provided keywords in your Google Account, you need to use a tool like ‘Keyword Hero’. 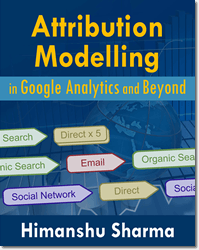 Without using such tool, you cannot truly benefit from the power of tracking keywords in Google Analytics as there will be no keywords data to analyze. Step-1: Login to your GA account and then navigate to the main reporting view. Note: Select the reporting view which includes traffic only from the location where your target market lives. So if your target market is only US then your view should include only the US traffic and not the traffic from all over the world. 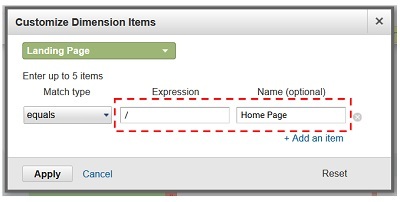 Step-2: Navigate to the Goal flow report (under ‘Conversions’ > ‘Goal’). 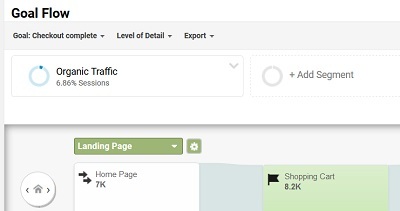 You can see from the goal flow report for Home page that the visitors are dropping off at each step of the funnel. In order to understand the reason of this drop off, you need to segment this funnel by using any/all of the 14 advanced segments I mentioned earlier. You are now looking at the goal flow report in which people first landed on the home page via organic search. Similarly, you can apply paid search traffic, social media traffic, mobile traffic and several other custom segments to your goal flow report. The entire process for creating conversion funnel for a product category page or Product detail page is similar to creating conversion funnel for the home page.